All our suppliers are required to sign our declaration of conformity with this code. We ask suppliers to keep us updated with their latest auditing reports and encourage them to act as quickly as practically possible to address any areas of concern. 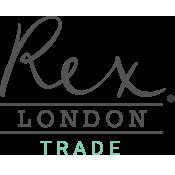 We also expect all resellers and distributors of Rex London products to adhere as a very minimum to these same guidelines. Employment is freely chosen – there shall be no forced, bonded or involuntary prison labour, and workers shall be free to leave their employer after reasonable notice. Freedom of association – employers shall respect the right of workers to lawfully join trade unions and engage in collective bargaining. Working conditions are safe and hygienic – employers shall take all reasonable steps to minimise safety hazards in the workplace and maintain hygienic facilities for employees. Child labour shall not be used – there shall be no recruitment of child labour, being defined as children under 15 years of age or older if prescribed by national law. Duties assigned to workers less than 18 years of age shall take into account their young age. Adequate wages are paid – wages and benefits shall at a minimum meet the national legal standard. They shall allow employees to meet their basic needs and to provide some discretionary income. Working hours are not excessive – working hours shall not exceed national legal limits, and all overtime shall be voluntary and compensated at a premium rate. No discrimination – there shall be no discrimination towards hiring, compensation, promotions etc. on the basis of factors including but not limited to race, religion, gender, age and disability. Regular employment is provided – to every extent possible, work performed must be on the basis of recognised employment relationships established through national law and practice. No harsh or inhumane treatment – workers shall not be subjected to any form of sexual or other harassment, physical or verbal abuse, or any other forms of intimidation.